Our plan is to choose at least TWELVE guests to post projects during their assigned month. Submit same photo and product recipes directly to CC&M and grant CC&M permission to use them in CC&M’s blog, Web site, gallery, etc. Good Day! I hope this finds you well. 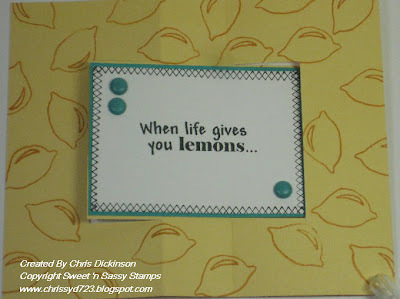 Today is the kick off for Sweet 'n Sassy Stamps BLOG Hop! We are saying FAREWELL to these very talented ladies and will be introducing our new team tomorrow! Now onto todays project! 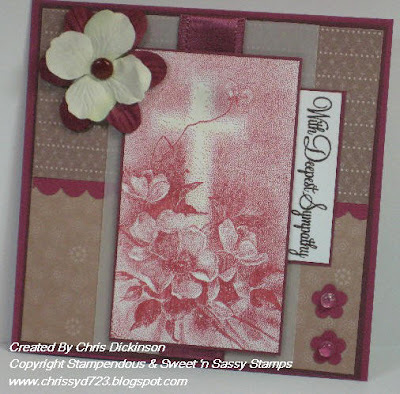 This card was my third attempt on this week's Christian Paper Crafts challenge! The first one - I did the wrong week! The second one, I used a DT Sketch I can't show yet and finally this one!!! So watch for another card later in the week with the same colors! You will want to visit these blogs to see their very wonderful projects and give them a shout out about what a talent they are! Hello! It is Monday again! I hope you had a wonderful weekend! 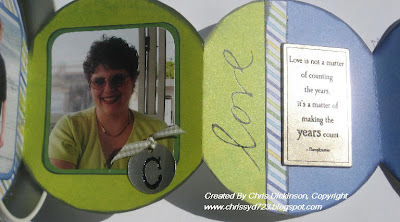 Here is another poroject using Creative Cuts and More's die cuts. This one uses the STAR shape chipboard. What fun and SO easy to create! If you haven't been to the store or their gallery you will want to be sure to check it out! There is a WONDERFUL variety of products! 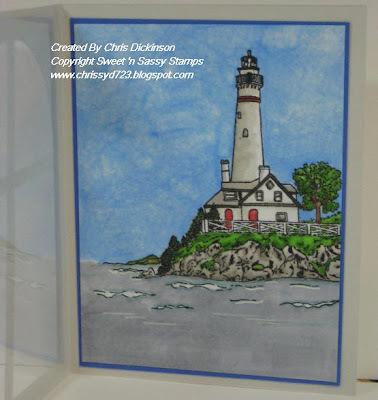 Have you been to the Christian Paper Crafts Forum yet? 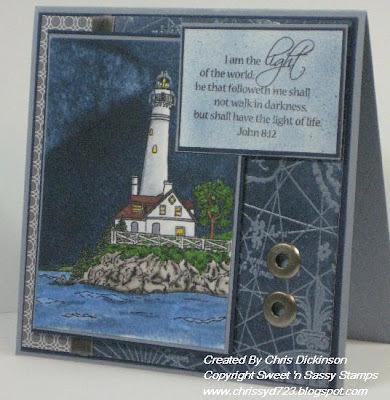 They have challenges to help you get your stamping jump started! Last weeks Color Challenge #10 is to create something with Pretty In Pink, Barely Banana and Certainly Celery. I used Basic Greys Urban Prairie Designer Prairie. 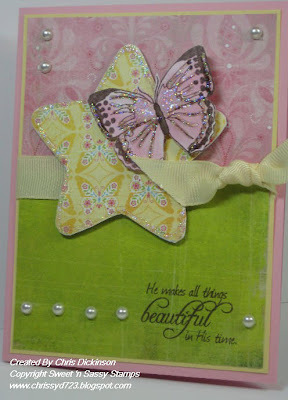 This is also a card using the CAS21 Make it Sparkle Challenge for Splitcoast Stampers. It's SUMMER time and we are celebrating Christmas?? Sure! 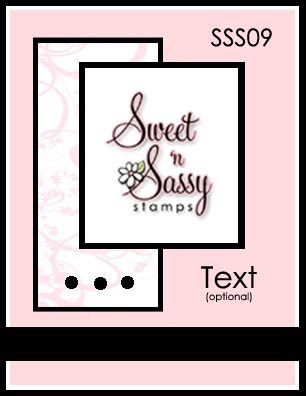 I know how important it is for so many of you to get an early start on those Christmas cards, so Sweet 'n Sassy Stamps is here to help! We've got some really fun things planned for July and even though it's still June, we wanted you to know the scoop ahead of time so you can start planning! For the entire month of July, our Christmas & Winter stamp sets will be 15% off! But the fun doesn't stop there! When you spend $25 in Christmas & Winter stamps, you will receive a FREE Holiday Greetings stamp set. Hold on, there is still more!!! Wanna order our other stamps and products instead? We have something for YOU, too! Oh, and by the way, ordering our Christmas stamps and/or any other sale or clearance items counts, too. :) These exclusive digis can only be earned through our Christmas in July Celebration and will not be available to purchase. You can see some SNEAK PEEKS HERE! HELLO! I am home from vacation. We had a wonderfully relaxing trip. LOTS of resting and not doing a whole lot. I wanted to get A LOT more stamping done, but I had a hard time packing last week and failed to pack some of my favorite tools, so felt limited in my creativeness. We were hanging out at home, so I created this for the Sweet Stop Sketch! I think these framed cards are just about the coolest things I have seen yet! 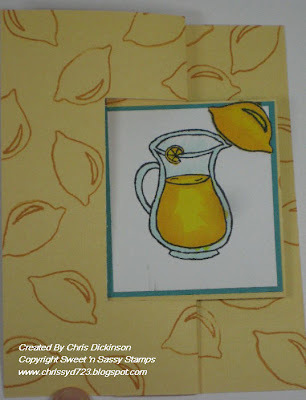 Creative Cuts and More has several different card cut out shapes. 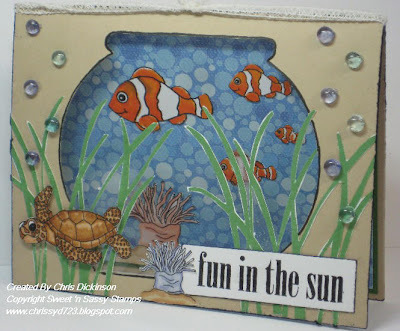 When I saw the fish bowl, I couldn't resist making a scene with the Digital Images from Sweet 'n Sassy Stamps. 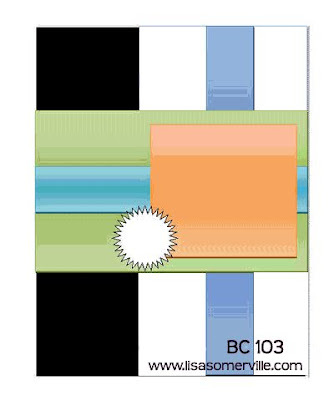 Creative Cuts and More has a huge variety of bags, boxes, cards and shapes, and we offer those cuts in chipboard, acetate, felt, foam, shrink plastic, velvet paper and in name-brand cardstock including Bazzill Basics, Bazzill Bling, Stardream, Curious, and DoubleMates. Save time & money by having them cut it for you! 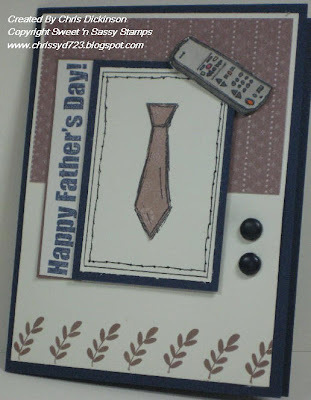 Tomorrow I will have another FABULOUS DIE CUT card from Creative Cuts and More! Stop by their store to see their other products. You can even get MORE inspired by checking out their art gallery! These walls are still not complete. I have more family and friend photographs to add, but I am waiting for the right ones to come. 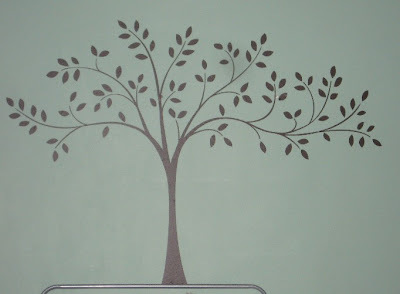 I also want to add a Scripture or quote with my Cricut under the tree, but have not figured out WHAT yet! This picture frame, we bought at Hobby Lobby. They did not have it in Chocolate like I wanted. They only had it in Black. I didn't like it, so we spray painted it with some Chocolate Paint. I have LOTS more to share this weekend with you! So stop by again! When you are done here, check out the other Blogger Challenge participants. They always amaze me and keep me inspired! Have a great weekend! Good day! I hope you are enjoying your summer days. Here in Wisconsin...summer is finally here! Join us for a SNSS Blog Hop! Hop from blog to blog for some serious eye candy :)! This card is one I created for Technique Junkies about 2 months ago using the Technique called Depth of Field. . 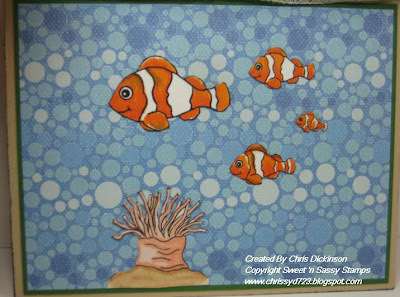 I did not have the In His Time stamp set from Sweet ‘n Sassy at that time, other wise I would have used that stamp set. 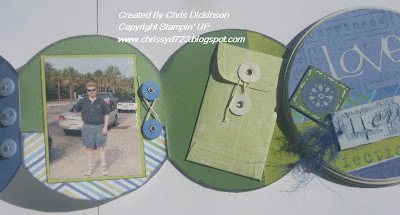 I know this stamp set is from Stampin’ Up! And was a Hostess set this past catalog, however, since I am on vacation I only brought very limited supplies and this stamp set was not included in this week’s collection! Hello! It is BELLI CHALLENGE DAY! I created this card while on vacation, so I had VERY limited supplies! Since I didn't follow directions on the Sweet Stop Sketch on Saturday, I combined the challenge! 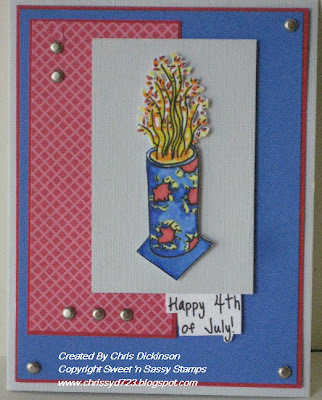 This week's Belli Challenge is to create a card, scrapbook page, or project with a patriotic theme. You could use the colors red, white, and blue, or incorporate other symbols of patriotism, such as stars, firecrackers, flags, military symbols, etc... We'd love to see what ideas you come up with. 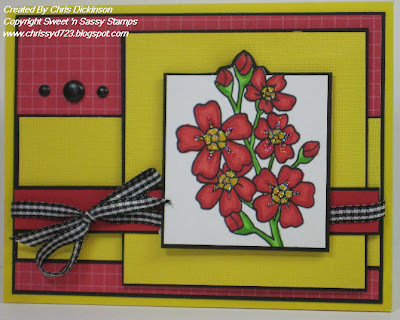 This card uses the latest Digi Design from Sweet 'n Sassy Stamps! I hope you have a fabulous week! Thanks for stopping by. Please play along in our Belli Challenge! I will post the winner of the blog candy this evening! Hello! We are currently away from home on our annual trip to the Wisconsin Dells. We are thankful to have friends who pop in to visit and stay in our home while we travel, while my sister watches our dog. This has been a HOT week. We currently have highs in the 80s and 90s with LOTS of humidity! Have I ever told you? I do not do heat well. So I am grinning and bearing it. My children just want to live in the pool, so we spend LOTS of time in the indoor pool and the outdoor pool. I created this project while I at home and brought it with to take a picture of and post. I had posts ready to go here, but failed to remember that my wireless internet didn’t follow me everywhere I go. The resort I stay at has internet on their computers, but you are not allowed to down load things on their computer. ACK! So that leaves me to limited time at a place with WI-Fi. So I am trying to get some things ready to post for you. 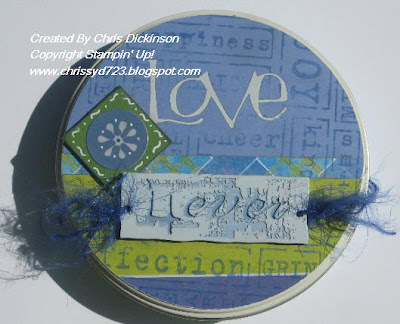 This project comes from Creative Cuts and More. 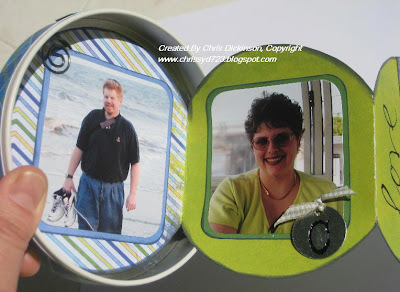 They sell the tins and the inserts so you can make these any size you wish! 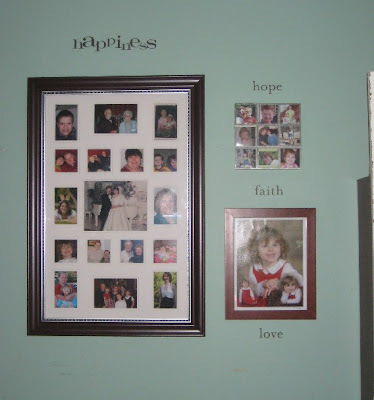 This is a great convenience if you want to make something with more or less pictures or memorabilia. 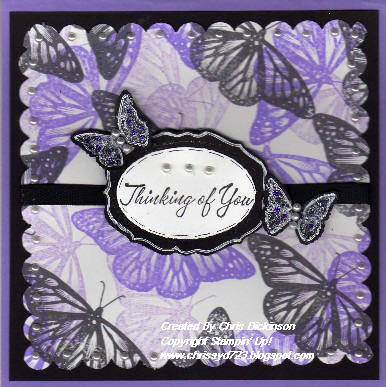 You can find so many more FABULOUS die cuts and ideas at Creative Cuts and More. I will have MORE to share with you all weekend and into next week. I have been busy creating using many of their products. STAY TUNED for more!!! 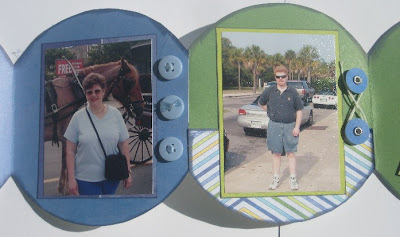 A few years ago my husband and I went on a trip to South Carolina, so I created this tin with the pictures of us, none of the scenery. I will have several more projects this week, so come on by as you have time. Tomorrow will be the BELLI CHALLENGE and I will have another project for you Thursday with a technique from Technique Junkies. Hello! Today is the Sweet Stop Sketch - and since it is the third Saturday it is a SKETCH with a SPIN. I missed the SPIN. How did I do that? The Sketch with a Spin: use this sketch AND the colors red, white and blue. I obviously missed this! The Sweet Stop Sketch is found HERE. I will pop back in awhile with more details, but have had a busy week and day planned! Have a great day and thank you for stopping by! I have the Blog Candy (listed above) happening and there is also the Belli Challenge Design Team Call. Today is the final day to submit for that! For whatever reason this cut off my post last night! I hope you have a great weekend. Thank you for stopping by! 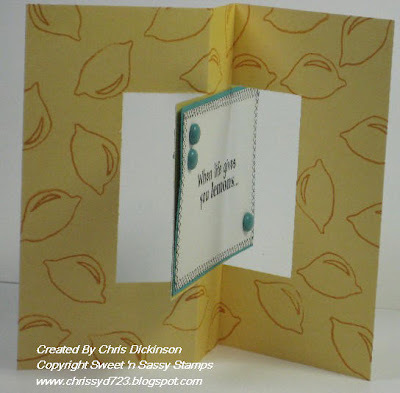 This week's NEW TO YOU Challenge is to create a project using the FLIP FLOP CARD or sometimes called a SWING CARD. I have written up a tutorial and put it HERE. Below is several photographs of my sample to help inspire you for your start. When uploading to the gallery use the keyword NTYW10. When uploading to other online galleries or your blog please use the keyword CPCM-NTYW10. Also, please leave a comment here in this thread with a link to your creation so we can be sure to check it out.There is no time limit for playing so just have fun! Don't forget we have a Design Team Call at the Belli Challenge Blog. Click HERE for more details! Below is several photographs of my sample to help inspire you for your start. When uploading to the gallery use the keyword NTYW10. When uploading to other online galleries or your blog please use the keyword CPCM-NTYW10. Also, please leave a comment here in this thread with a link to your creation so we can be sure to check it out.There is no time limit for playing so just have fun!This is the day that the LORD has made! Let us rejoice and be glad in it! Can't wait to see what you create! Good day! This is a creation I made a few weeks ago and do not recall what I made it for...I *THINK* I created it for a Sweet Stop Sketch and realized I used a stamp set that I couldn't show yet! 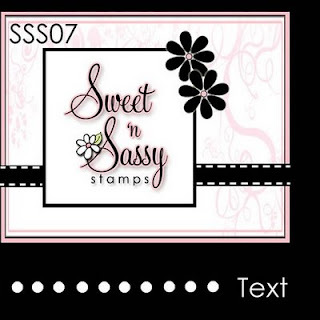 LOL This is one of Sweet 'n Sassy Stamps latest releases that is available for sale now! I tried Embossing this, but for whatever reason my BLACK Embossing Powder smears. Do you know of a brand that does not smear??? LIGHT OF THE WORLD - ROUND UP! 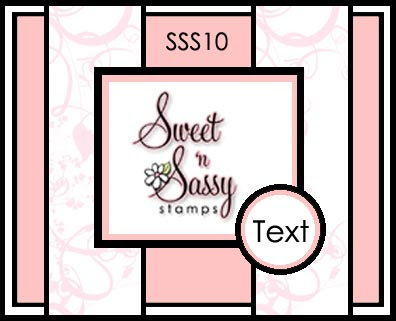 It is JUNE 15th, and that means it is Sweet 'n Sassy Stamps ROUND UP day! 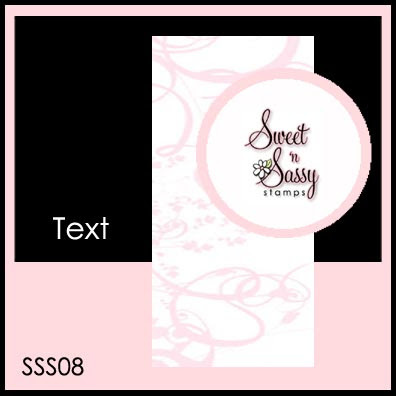 When you are done looking around here, you will want to pop over the Sweet 'n Sassy Stamps Blog and check out the other Design team members creations! 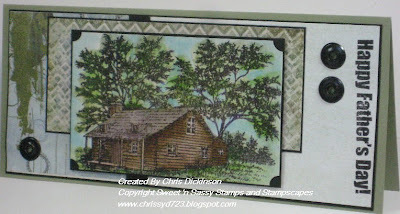 This is one of the stamp sets that is NEWLY RELEASED TODAY!!! You will want to go check out the FABULOUS stamp sets being released today. 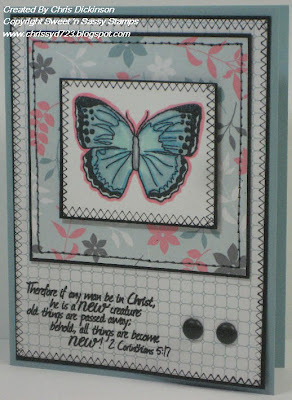 There is quite a variety from a CUTE birthday set, to FUN borders to this Lighthouse set and a butterfly set! So something to strike anyone's fancy. Come back tomorrow to celebrate my 100,000 hits!!! Thank you for coming by! I am borrowing this after seeing on Lorie Ames' blog! I want my children to grow up with the knowledge, love and appreciation of what our forefathers and the men of our nation have provided for us in the freedoms that we have. 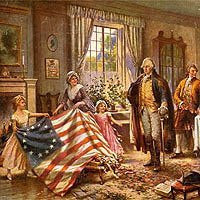 If you've got a flag(and you know you should)...fly it proudly today! HAPPY WEEKEND!!! Once again it is Saturday. I just love Saturdays! I think it is my favorite day of the week! 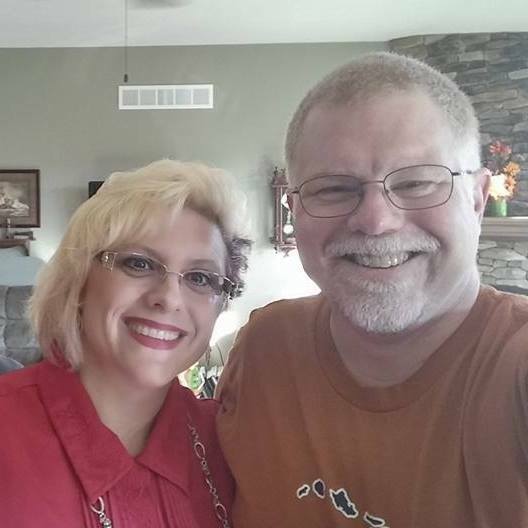 Today we are headed to a 50th Wedding Anniversary party. My husband's side of the family is blessed with such a heritage that they have many marriages that have stuck together through many years of marraige and worked it out. 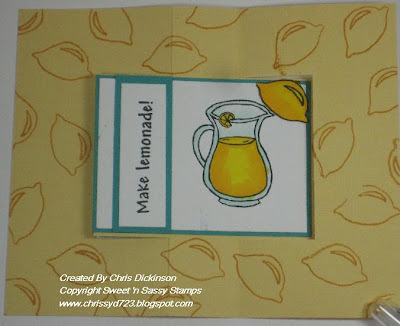 Today's Stamped project is using the SWEET STOP SKETCH! I love sketches and I love to see what others create with them! 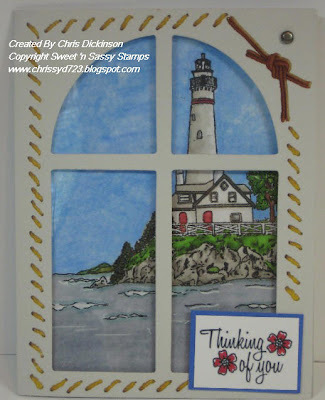 This also incorporates Sweet 'n Sassy Stamps newest stamps called Beautiful Borders. Designed by THE Tami Mayberry! 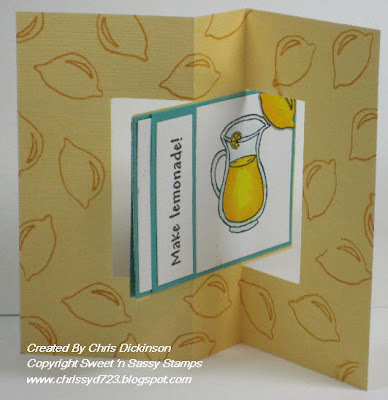 After a busy day, I wasn't in the mood to create a card, but wanted to participate in the Bloggers Challenge, so I made myself Stamp! 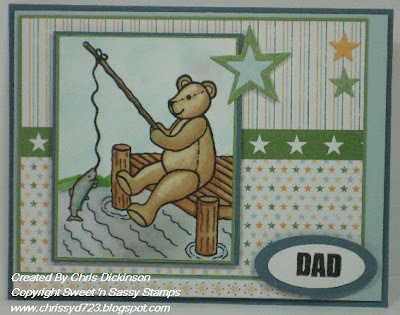 LOL This image is one I believe is from Stampendous or Stampabilities, I do not recall. 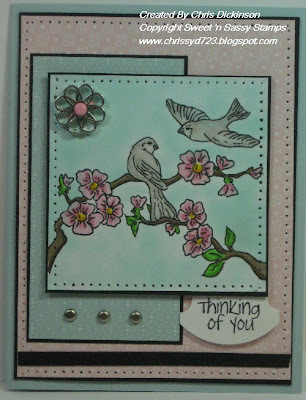 The font is from Sweet 'n Sassy Stamps Elegant Blessings Stamp Set. Before you get on with your day, enjoy the Blogger Challenge Participants blogs by clicking the icon on the Right Side Bar. Tomorrow will be the Sweet Stop Sketch. Be sure to stop on by - I am also rounding a corner for 100,000 hits! So I will be having some BLOG CANDY early next week! Thank you for coming by! Have a great day! Thanks so much for popping by! Have a great day! BELLI CHALLENGE DESIGN TEAM CALL!